Central Texas is full of exciting excursions to explore, and springtime paints the surrounding areas of Austin in a roadside haze of color. Pack some snacks, grab a coffee, and hit the road to head outside of Austin’s city limits. If you're looking to explore a little more than Austin's top wineries or breweries, these day trips won't disappoint. This culturally rich Central Texas city is just over an hour from downtown Austin, and has enough to keep any family busy for a full weekend. Some of the most popular attractions are The Alamo, The Riverwalk, and Fiesta Texas, and La Cantera. Explore The Riverwalk and grab a bite to eat for lunch before heading to The Alamo for a history lesson. Spend the afternoon popping into different attractions like the Ripley’s Believe it or Not Museum and Louis Tussad’s Waxworks or head outside of the city to check out Longhorn Caverns. If you’re spending the night and feeling brave, the San Antonio Ghost Tour is a great way to see a different side of San Antonio. With the establishment of Magnolia Market and Magnolia Table by Chip and Joanna Gaines, Waco is now a hot destination for tourists in Central Texas. The market has everything from a bakery to an indoor shopping area, food trucks, a garden store, and lush grounds for kiddos to romp around on. Grab some Italian at Baris Pasta & Pizza before heading for a walk around the gorgeous grounds of Baylor University. End the day with a coffee or live performance at Common Grounds or a trip to Spice Village to do a little shopping. Best known for its bi-annual antique fair, Round Top is perfect for the personality that loves to mozy into galleries and shops. Copper Shade Tree and The Humble Donkey Studio are a few notable galleries, while specialty shops like Junk Gypsy and Porch Office Antiques have plenty of unique finds to gift or enjoy for yourself. Do a wine tasting at Fall Creek Vineyards, or grab a slice of pie from Royer’s Pie Haven. Just a short drive south of the city, Gruene Gruene, New Braunfels, Texas - Official Site is one of the best day trips options for Austinites. 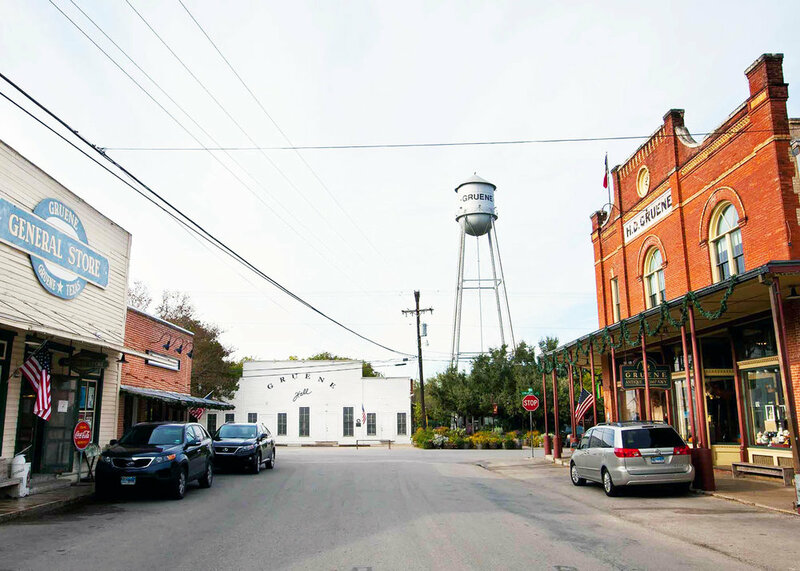 There's just enough to explore in one day, with Gruene Hall and The Gristmill sitting side by side in the center of the town. Stop by Gruene General Store for confections and Texas treasures, then walk around the town to take in all of the small sights and historic homes like the Gruene Mansion Inn. Head outside of Gruene towards New Braunfels for a day of tubing on the river if you're feeling adventurous. Head for a show at Georgetown Palace Theater after grabbing a bite to eat at Monument Café. If the weather is warm, a dip in Blue Hole is a great place to cool off. Art and shopping abound on the streets of Georgetown. Artisans Connect Gallery and the Georgetown Antique Mall offering much for the eyes to devour, while local boutiques like Southern Hippie offer chic styles to shop. Be sure to enjoy happy hour at Georgetown Winery. Head to the charming town of Fredericksburg for a day and enjoy a brew or two while walking around the town center, popping into shops, and taking a look at historic landmarks. Not only are there numerous taverns and wine tasting rooms, but there are a few surrounding wineries such as Messina Hof Winery, 4.0 Cellars, and Grape Creek Vineyard. Enchanted Rock lies north of Fredericksburg, but be sure to arrive early since the park fills up quickly! If you’re looking to do something in nature, be sure to spend some time at Bastrop National Park, McKinney Roughs Nature Park, or Lake Bastrop. One of the most endearing things to see in Bastrop are the historic homes that dot the city, such as Crocheron-McDowall House, T. A. Hassler House, and H. P. Luckett House. Neighbor’s Kitchen & Yard is a pizza kitchen, music venue, and event space nestled on the Colorado River with views of the bridge downtown, while Copper Shot Distillery is the perfect happy hour stop and Simply Sweet http://simplysweetbastrop.com/ offers plenty of baked goods. When it comes to exploring Central Texas, these destinations offer the most charming eating, drinking, shopping, and sightseeing options for families, friends, and solo travelers. Take in the best Central Texas has to offer this spring and head out of Austin’s city limit to one of these fun areas.